American football, athletics, Australian rules, Football, Baseball, Basketball, Beach soccer, Beach volleyball, Boxing, Cricket, Cycling, Darts, GAA, Golf, Greyhounds, Handball, Hockey, Horse racing, Ice hockey, Motor racing, Rugby league, Rugby union, Snooker, Tennis, MMA and Volleyball. There are also markets for such things as politics and television series, such as the X Factor. When you are looking for a large and reliable internet bookmaker from Ireland, Paddy Power should be your natural choice. The giant in the Irish bookmaking industry was founded in 1988 and went online in 2001. The headquarters of this leading bookmaker enterprise are located in Dublin, Ireland, and the company currently has more than 1000 employees under its wing. With steadily growing business and efficient marketing strategy, Paddy Power Bookmaker has thousands of clients nowadays from all The United Kingdom. This dependable online bookmaker will prove a trustworthy choice for serious players who love the thrill and excitement of online betting. Paddy Power Bookmaker is also licensed and regulated by a Gambling Supervision Commission by the name of Isle of Man, which further ensures their trustful service, unique bonus system as well as various benefits for both new and existing players. As far as popularity goes you can say that this bookmaker is one of the most famous in The UK. They have very well built platform and offer excellent odds on all sports markets. With their flawless reputation and very loyal players, Paddy Power is one of the names you should definitely check out. 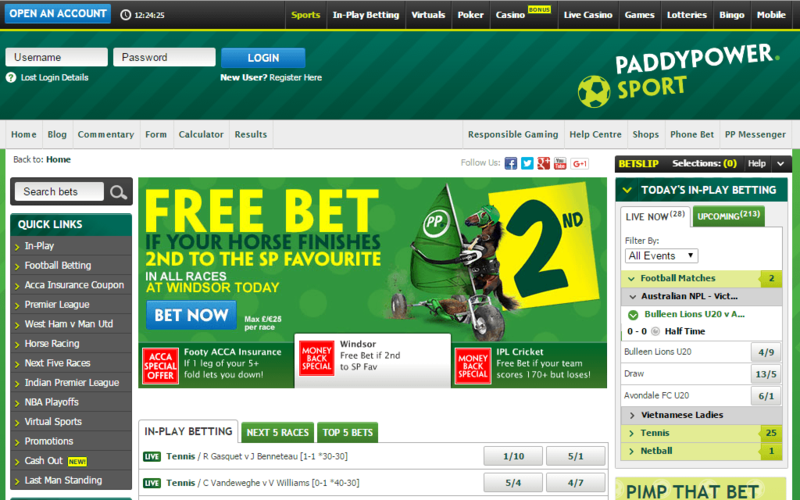 Paddy Power Bookmaker is the top online bookmaker in Ireland. As such, it offers countless betting opportunities to its loyal customers. If you’re a betting enthusiast, you’ll be delighted to know that you can choose from more than 30 sports in the site’s selection. They’re offering excellent betting options on sports such as Football, Tennis, Boxing, Horse Racing, Handball, Volleyball, Baseball, Pool, Rugby, Swimming and many more. It also offers the markets and wager options where you can choose to bet on an important political event or an award from a famous entertainment event. Feeling a gambling sensation coming up? Well, Paddy Power Bookmaker has got you covered. Casino, Bingo or everyone’s favourite poker games, this site has it all. Enjoy the flexibility of live betting on sports as ice hockey, basketball, cricket, snooker or darts it hasn’t been easier until now. As the leading online bookmaker in Ireland, Paddy Power Bookmaker made sure you can place every bet when you desire via the mobile platform it offers. Get a real thrill out of taking the chance on live online betting with a half-time bet on a football game, or choosing the team that scores more points in a basketball game. The feature of following the games live on stream will ensure your perfect online betting experience. The satisfaction of winning is just one click away. Paddy Power offers a quite colourful range of bet types for the gambling enthusiasts. Most of them are half-time/full-time, first and last goalscorer, double chance, under/over, no. of corners, first half, first and last card, penalty (yes or no) or time of first goal. They are available for sports betting markets including football. But let’s start with the basic and review some of the interesting ones. Every customer of the Irish bookie can take advantage of single, double, treble, Trixie and patent bet types. Multiple bets were not forgotten and they are represented by Accumulator, Fourfold Accumulator, Yankee, Lucky 15, Fivefold Accumulator and the list goes on by increasing the selections. The odds formats are as usual – EU and UK and the overall betting margin is 4.7%. Bets are starting from £0.1, and the maximum is market dependent. As an experienced online betting provider, Paddy Power Bookmaker focus their service on a maximum security and effective customer care. The reliable betting platform offers top security according the latest trends in the digital world – well-protected connection via SSL encryption with Thawte certificate and full discretion about sensitive personal data and account information. 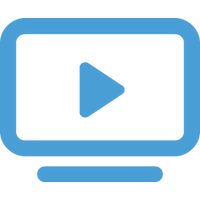 Their customer care and support team is constantly working to improve the service and provide an excellent experience for every fan of the online betting. A team of seasoned experts in support are available from Monday to Saturday, 8 AM to 10 PM and Sunday from 9 AM to 12 PM. They are ready to assist clients around the United Kingdom in both English and Spanish. The specialists are ready to answer the loyal customers by phone, email or live chat. Reaching out for a polite representative of Paddy Power Bookmaker is easy and quick, without any hassle. 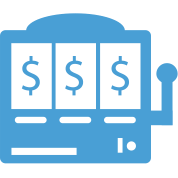 When it comes to deposits, this online bookmaker is quite sensitive and offers expanded options for extra security. Clients can benefit from 3D secure payment, which should be first enabled from the bank or card provider. If you are in a hurry to bet on your favourite football match, well, you can certainly use your debit or credit card or e-wallet. Also, you can issue a cheque or bank transfer for your deposit. Withdraws goes pretty much the same way, and they are free of charge (just like deposits). The payout is relatively fast compared to other online bookmakers in the branch. Officially is up to 5 business days, but in reality it takes no more than three days. Minimum and maximum withdrawal amounts are respectively £10 and £2,000. As always there is an attractive, welcoming bonus in the format of a free bet. 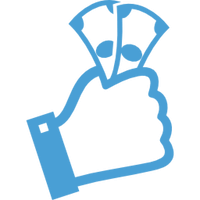 When you register as a new client you will get a welcome bonus of £10. Of course, the free bet should be unlocked first with one sports bet with odds higher than 1.5. Please, take note that this offer is available for residents of UK, Ireland and other listed countries. Unfortunately, users of Skrill and Neteller will not qualify according Paddy Power. The Casino Bonus is 100% – deposit £100 and get £100 bonus and you can play with £200 and you will have to wager 50 times only the bonus amount. For the trusted and loyal clients of Paddy Power bookie, there are great surprises. 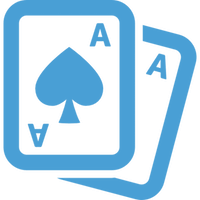 There is a Poker loyalty scheme called VIP Programme associated with Paddy Points, which are available for exchange to cash, tournament entries and other goodies. Older gamblers can also benefit from Money Back Specials and Enhanced Odds.